I love it when communities come together to make change. 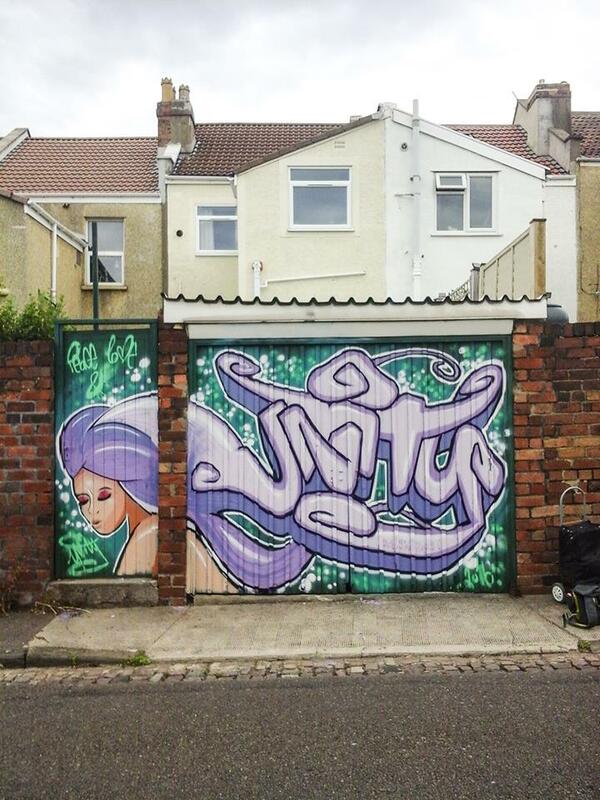 It’s not difficult once you get a few people together with a common cause – living alongside one another I think it’s really important that we can work together too, looking after our own local area and instilling a sense of pride and belonging. 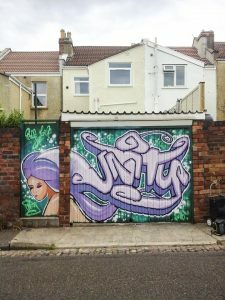 I came across the ‘Make Devon Road Beautiful‘ facebook page via a friend, and painted a piece on a garage there last week. It wasn’t a great place to paint because of all the traffic ROARING up and down the road where I was working, but this illustrates why the community has come together in the first place. The aim of this project is to calm traffic by creating a colourful environment, signalling to drivers that they are entering a residential space. Although I’m not from the area it feels good to have contributed in my own small way, to the change which residents of this area are seeking. Keep up the good work folks!